Hopefully everyone out there on the Eastern Seaboard of the US is staying safe during Hurricane Sandy! Here at the LanguageCorps office outside of Boston we are lucky to still have power, and hopefully that continues to hold up. But, if we are slow getting back to you over the next few days, keep trying us and we will respond as soon as we possibly can! In the meantime, I wanted to share an email that we received from Natalie, who earned her CELTA certificate in Seville, Spain. She had a fantastic time Teaching English Abroad, and then returned home and leveraged her experience and CELTA certification into a teaching job in the US. 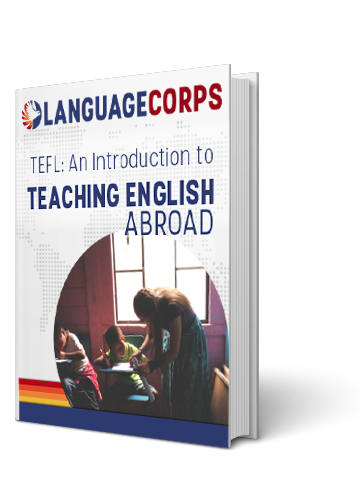 We love hearing success stories like that from people who teach English abroad with LanguageCorps, and just had to share it on the blog! Scroll down to read her email! I have a wonderful teaching job at a school in Portland, OR, USA called the Portland English Language Academy. Even though most of my colleagues have teaching degrees of some sort or another, I was hired with just my CELTA. That’s pretty lucky for the US, as I understand. The first 4 months were incredibly challenging as I got the hang of things, but now I’m cruising. I have 18 teaching hours a week (which of course means many more hours of prep), totaling 5 classes. My students are ages 16-50, though mostly university students. Most of my students are Saudi Arabians! I have learned a ton since starting here, and I am enjoying teaching a multicultural multi-lingual classroom.